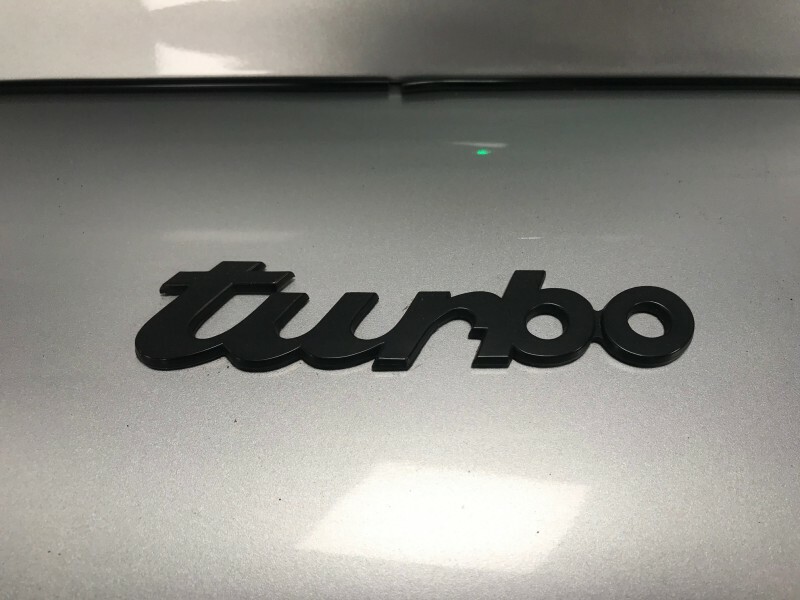 Supplied by Porsche Cars Canada in February 1989, this was the last year of production for the 930 Turbo, it comes with Porsche Cars Certificate of Authenticity confirming delivery specifications, and that the car was compliant with US exhaust emissions. 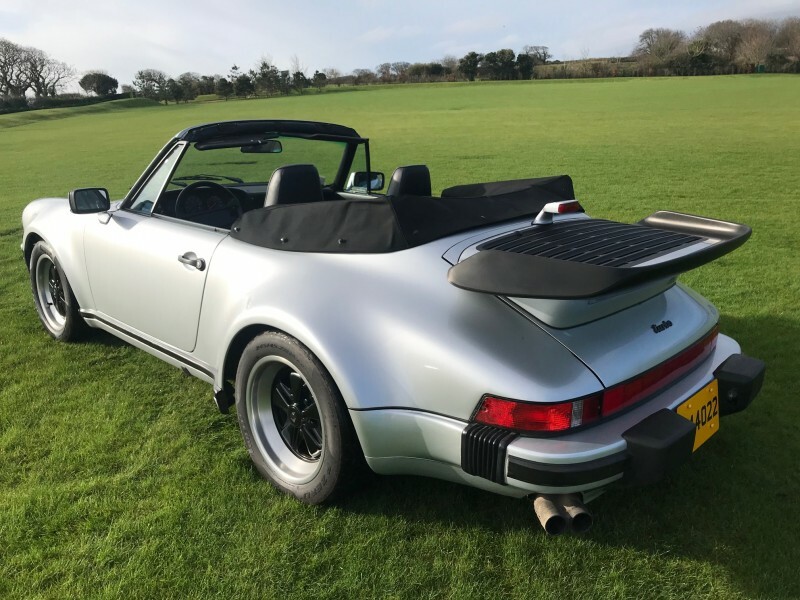 Optional equipment was Tonneau cove, Blaupunkt Reno radio and amplifier system. 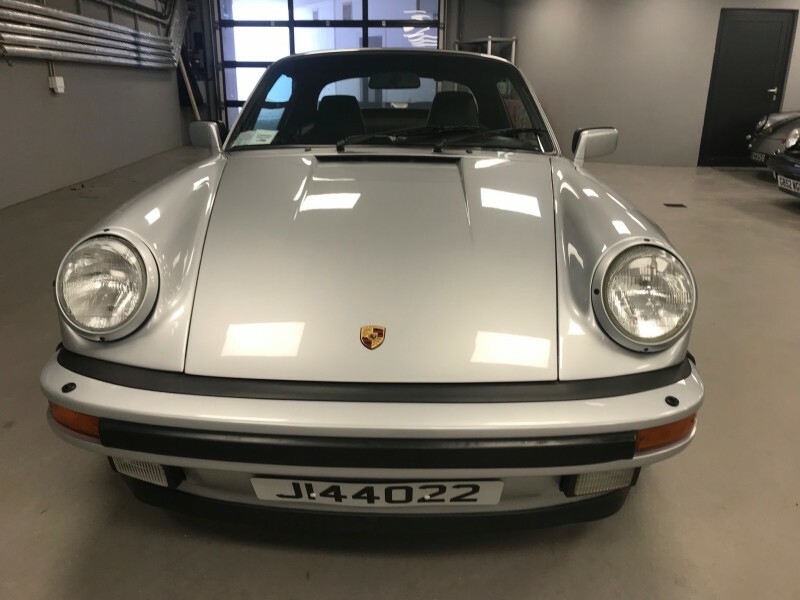 The 930 also has a detailed service and ownership record together with the Porsche service book, the last entry being made at 62883 miles. 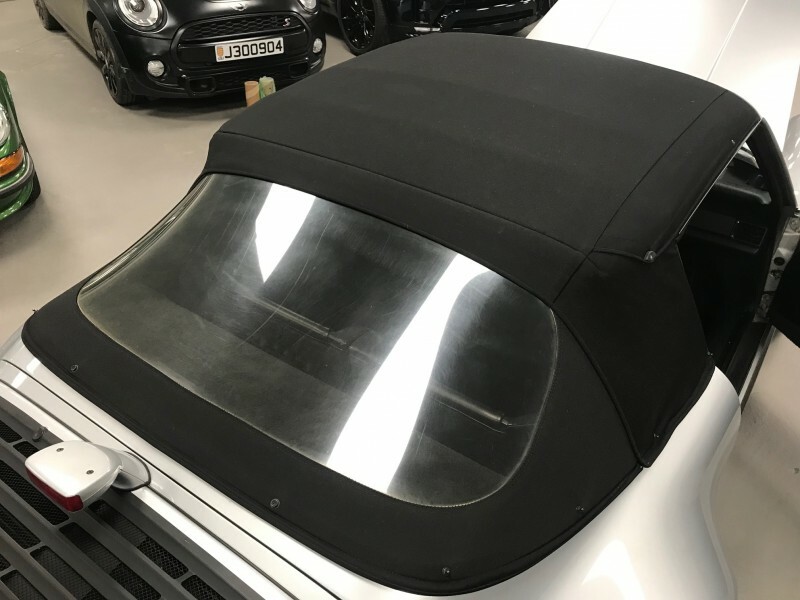 On arrival in Europe the car has registered in Jersey, and on sale 5% VAT will be paying on import to the UK or EU. 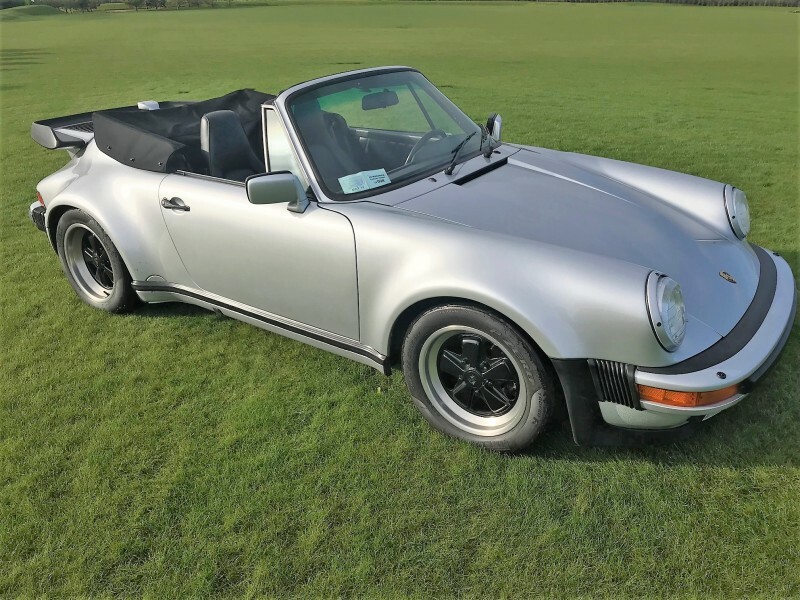 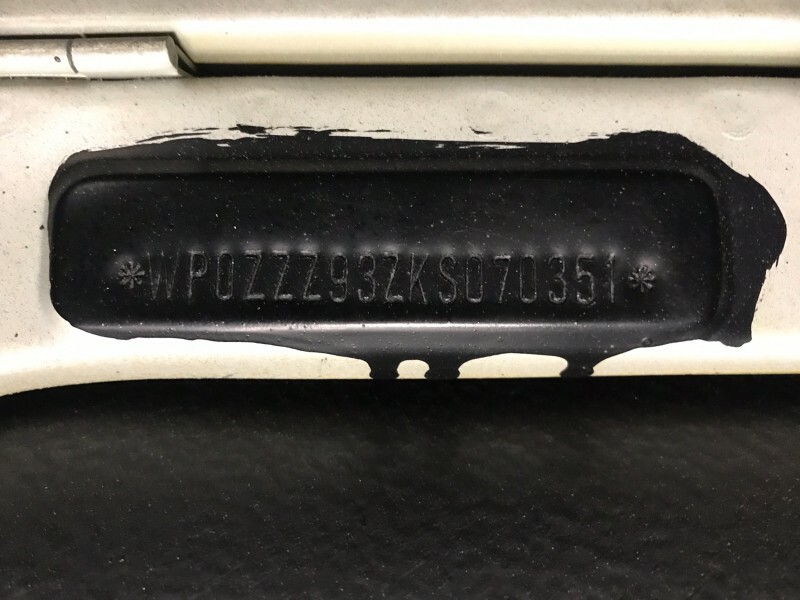 This is a really excellent,well documented, original 930 Turbo Cabriolet which was recently supplied through a Porsche Premier Dealer in Canada, where the car has been registered since new. 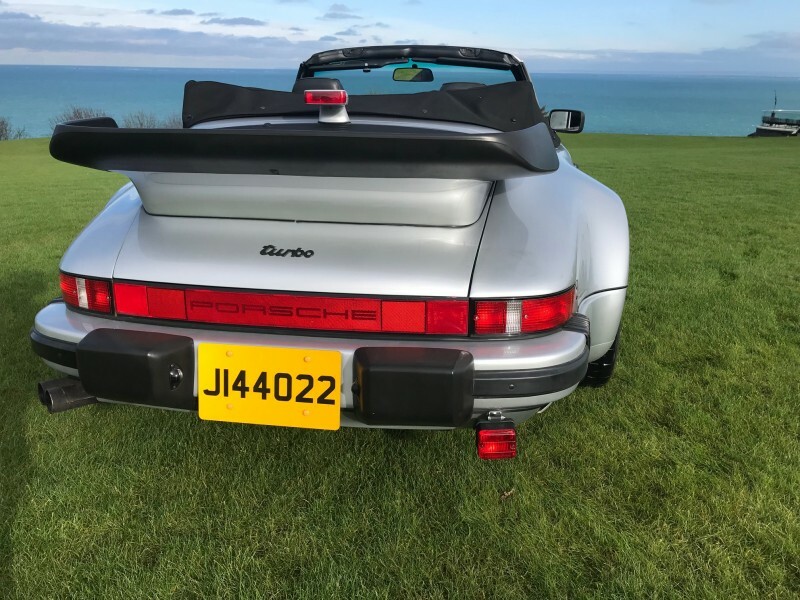 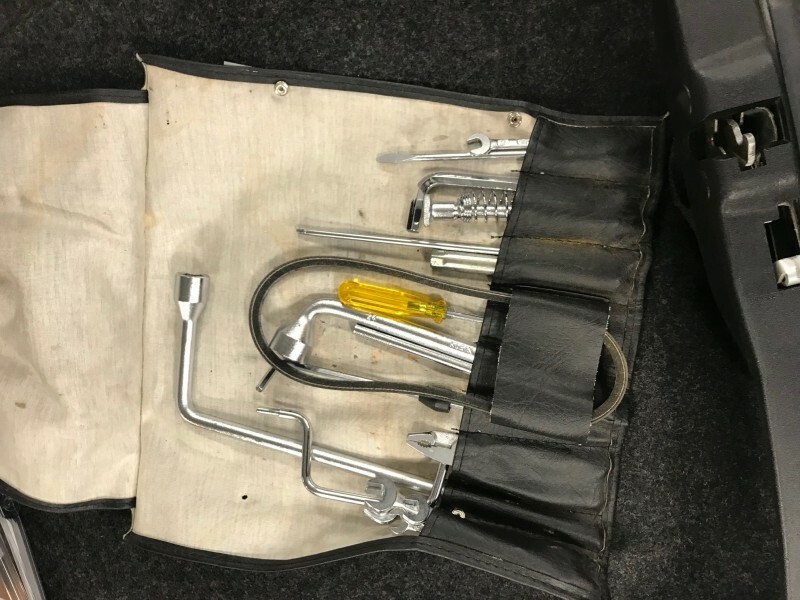 the Porsche was originally shipped as a US model, it has a full service history, and has recently been checked though by the supplying Porsche premier dealer prior to sale. 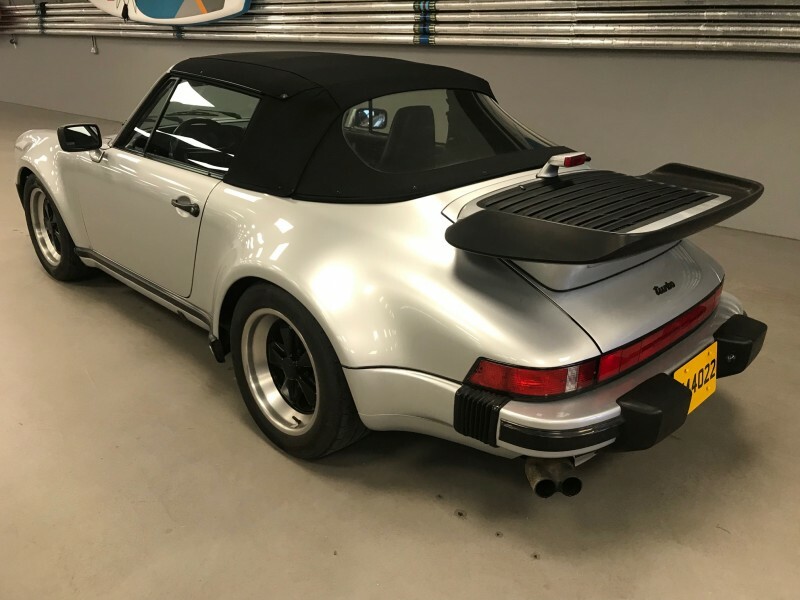 It is an extremely fine example of a late 1989 Model 930 Turbo, which has seen little use, but which has been regularly serviced and cared for. 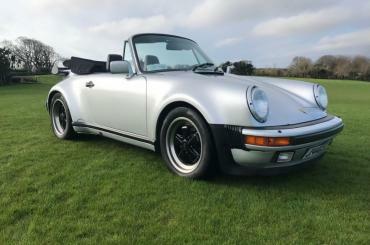 An excellent example of a low mileage Porsche 930 order turbo with excellent bodywork, with an extremely good paint finish. 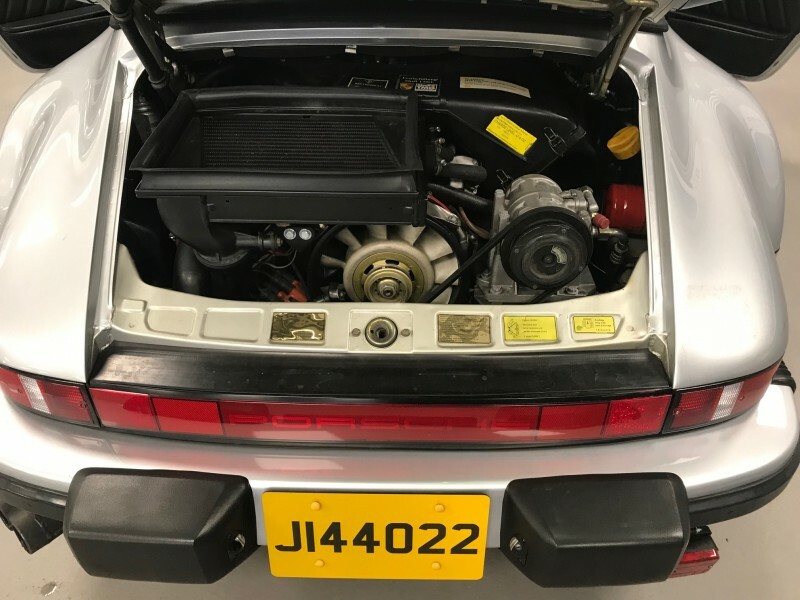 Full Porsche History from new, with main dealer service in Canada, stamped service book from PDI onwards. 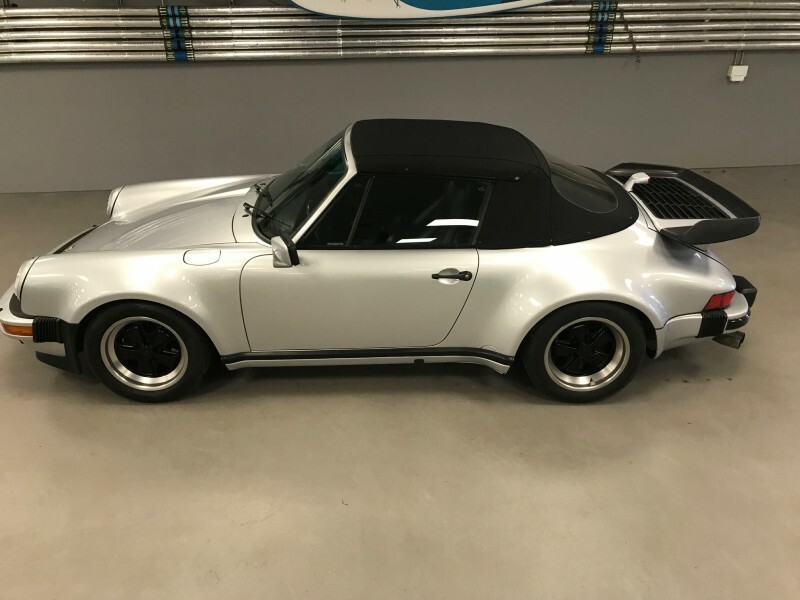 Recently checked through by main Porsche dealer in Ontario Canada prior to export. 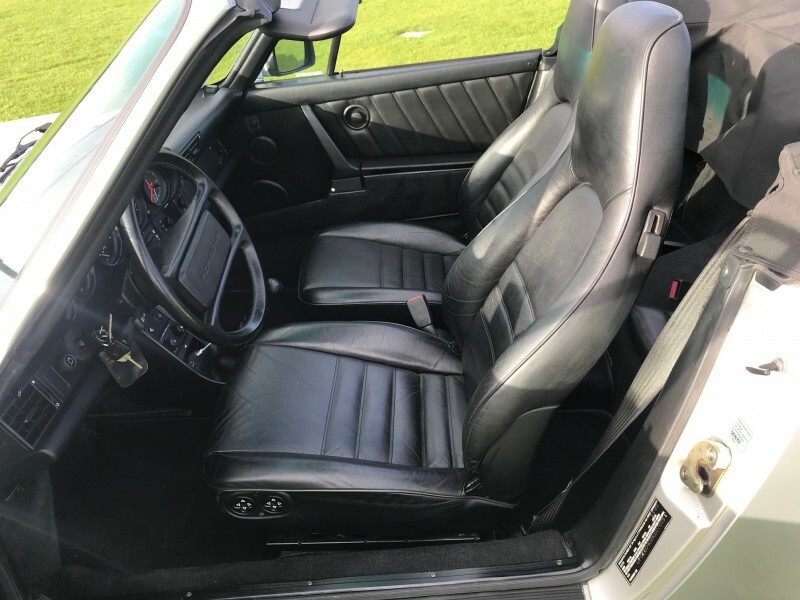 The speedometer was recently replaced by Porsche in Canada, there is a service log for this event confirming the original mileage at the change of 69161, with a following 115 miles to date.